You may be surprised to find out there’s more to picking the right home theater seating than just walking into a furniture store and pointing at a few items you like. There are many issues to consider, like the placement of seats in relation to speakers, filling the viewer’s visual field to the ideal portions, sound absorption, as well as the overall aesthetic appeal and design. Don’t let any of these issues distract you from the most important issue…comfort. Having uncomfortable seats that look great doesn’t do anyone any good. Home Theater seating should be relaxing and inviting. Our recommendation is to make comfort your number one priority. If your goal is to provide an outstanding viewing experience, seating comfort is just as important as the screen and audio components, or any other element of your theater system. Make your primary seating (the seats used under normal circumstances) as comfortable as possible. Don’t be as concerned with secondary seating, which consists of the seats that only get used on occasions, like at a Super Bowl party. 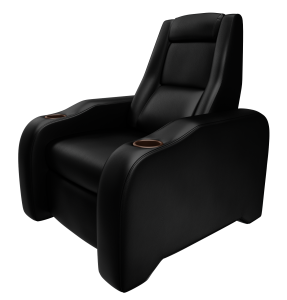 If your goal is to find the line where comfort meets beauty, Elite Home Theater Seating makes some of the finest theater seating money can buy. 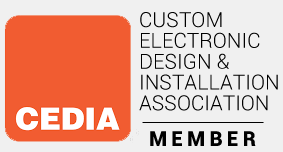 Because quality is so important to us and we stand behind every product we recommend or install, we highly recommend this company. The science behind seating arrangements in a high quality theater is both complex and fascinating. If you’re going for a home movie theater style environment, you’ll want to invest more time and energy into planning the seating arrangements. If you’re not sure about orienting to surround sound, distance to speakers, or correctly filling a visual field, you should probably consult with a custom home theater company to help you make the right seating decisions. For those with a smaller home theater room, you might be more limited to simply providing adequate seats for the space available. Arrange seats to maximize both the visual and audio components of your overall theater. Ever been stuck in the front row at a commercial cinema? There’s nothing worse than straining your neck through a long movie. Recommended viewing angles should be kept between 36 and 50 degrees to maintain an enjoyable field of vision. Everyone should have a clear view of the screen, without being in the direct path of a surround sound speaker. General recommendations are to keep speakers at least four feet away from a listener’s head, and keep the audience at least four feet away from the back wall. As you’re working out the details of layout, comfort, and other issues, don’t forget to keep things within your budget and concurrent with the layout design of your room and home. You don’t want to blow your entire budget on seats, so plan to spend about 14% to 20% of your overall home theater budget on seating right from the start. Elite Home Theater’s cinema seating options can fit in nearly any home theater decor. Richmonders have been coming to Moseley Electronics for custom home theater equipment and advice since 1976. You can’t take a viewing experience to the next level without paying close attention to details, like the comfort of everyone in the room. If you’d like to learn more about setting up home theater or specific information about setting up residential cinema seating that will optimize your audience’s overall experience, contact Moseley Electronics today.